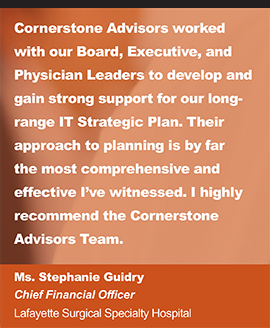 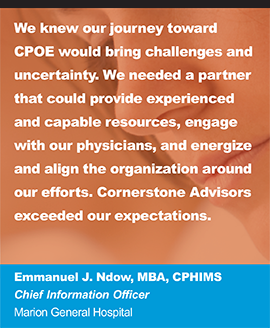 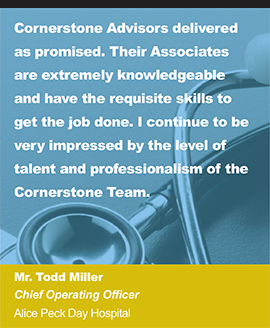 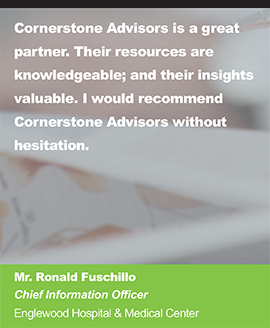 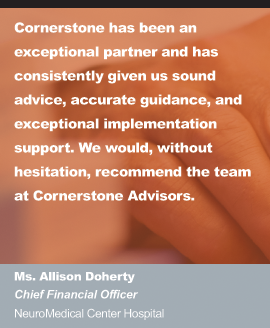 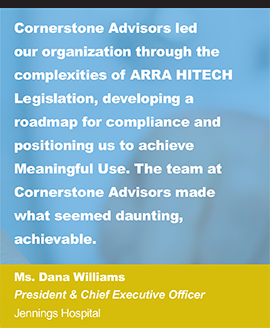 “Cornerstone Advisors was built on the foundation of providing our clients a higher value of consulting services. 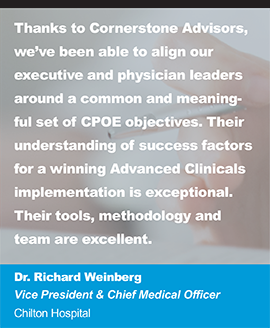 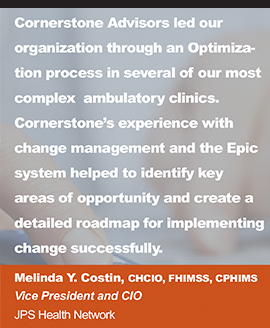 It is rewarding to find healthcare organizations embracing our unique approach enabling us to achieve such exceptional growth. 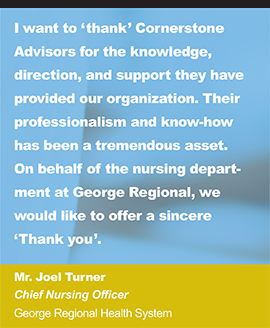 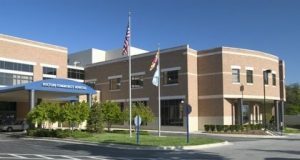 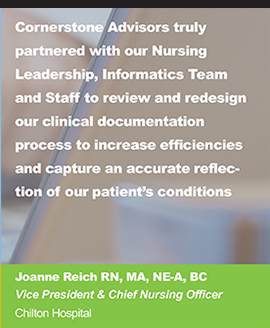 We are excited to be recognized as a healthcare service leader and look forward to continuing our commitment to provide exceptional services.” says Keith Ryan, Managing Principal of Cornerstone Adviors.